We made this for our four cats for a Christmas present. 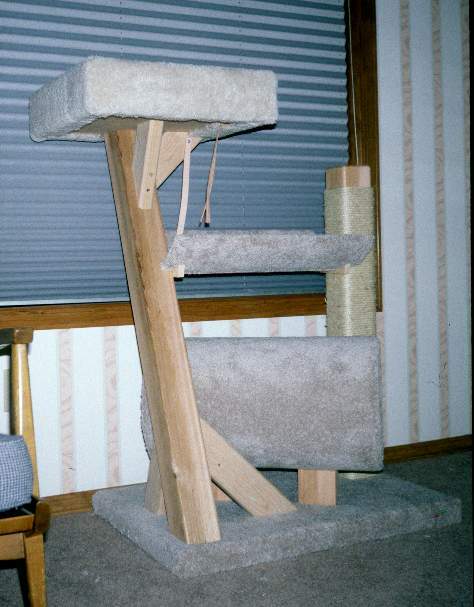 This shows the cat condo partially constructed. 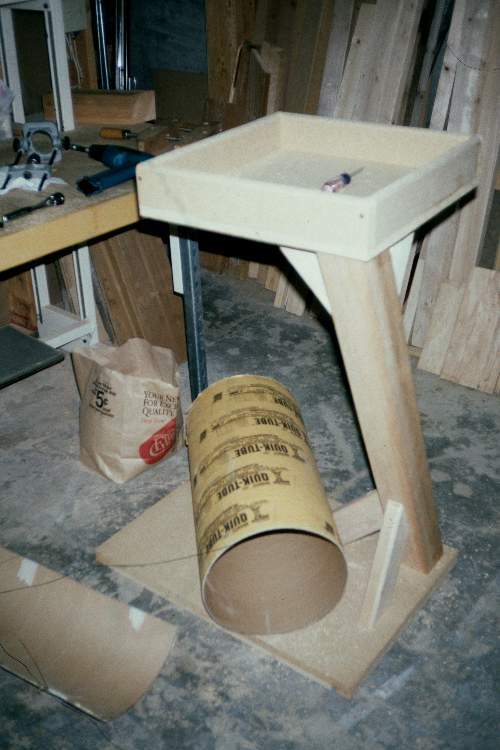 The tube home and the curved shelf were made from 12 inch diameter "Quik-Tube" (which is normally used as a cement form). 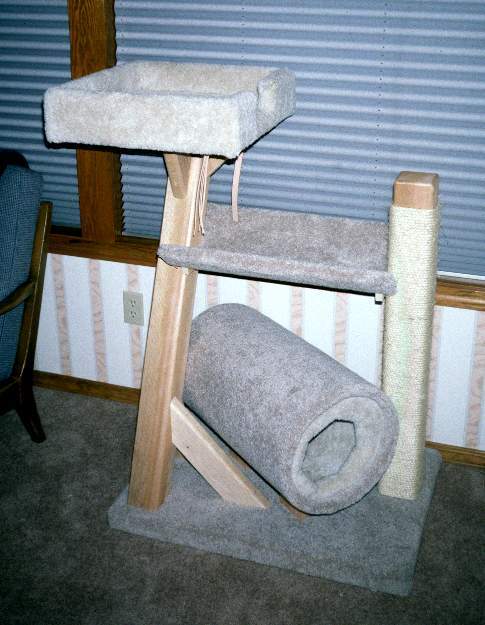 This shows the finished cat condo. The wood is cedar and the scratching post is wrapped in sisal rope. Here is another view of the finished cat condo.